Finding the perfect name, with the right spelling and amazing meaning is no easy task by any means. If you are looking for a name that is an extension of your faith in the Hindu religion, you have come to the right place! 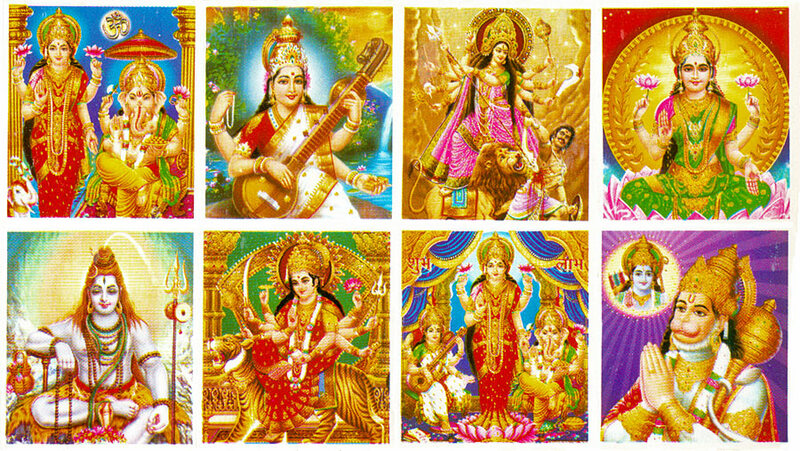 We have listed here 200 beautiful Hindu god names for boys and girls. Each one has depth and beauty. Take your pick! A beautiful name that is sweet and simple too! 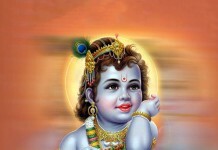 Anish is a name of Lord Krishna. The name of Goddess Durga, Ishani is a pretty little name for your pretty baby! Looking for a unique name that is also religious? Try Arha! It is another name for Lord Shiva, the destroyer. A traditional name, Bani refers to Goddess Saraswati, the giver of knowledge according to Hindu mythology. Want to name your son after Lord Murugan? Go for Kartikeyan. 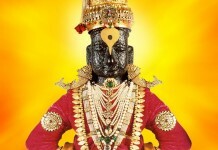 Goddess Laksmi is worshiped all over India. Ditya is another name for the Goddess of wealth. Avaneesh means ‘Lord of the entire world’ and refers to Lord Ganesha. A classic name, Brinda means ‘holy basil’ and is also one of the names of Goddess Radha. A unique and exotic sounding name, Rayirth refers to Lord Brahma, the creator of the universe according to Hinduism. Lasaki refers to Goddess Sita and means ‘made of lac’. Indrarjun means ‘bright and brave’. It is an interesting name that refers to Lord Indra. Looking for a name that doesn’t look overtly religious? How about Adya? Another name for Goddess Durga, Adya is a beautiful name that is worth a try. A name popular in South India, Sabareesh means ‘Lord of Sabari hills’. It is also a name for Lord Aiyappa. Short and sweet – that’s what parents look for these days in a name. Kriti has both qualities and also has a great meaning. It means ‘a work of art’ and refers to Goddess Lakshmi. Dheera means ‘courageous’ and is also a name for Lord Hanuman. A lyrical name, Shivanne refers to Goddess Parvati, the wife of Shiva. Another name for Lord Rama, Paresha also means ‘Lord of the Lords’. Hamsini is a good choice for parents looking for a classic name. It means ‘one who rides a swan’ and is also a name of Goddess Saraswati. A name that will never go out of fashion, Amit means ‘the endless, boundless, incomparable Lord’ and refers to Lord Ganesha. Looking for a name with a difference for your little one? Go for Aryahi, another name for Goddess Durga. Dhananjay means ‘one who wins wealth’. It is also another name for Arjun. A common but beautiful name! Nitya means ‘constant’ and is a popular name of Goddess Durga. Looking for a traditional name for your son? Jagadish will be a great choice. It means ‘master of the universe or Lord Krishna’. Here is a beautiful name that refers to Goddess Parvati. Shivanshika means ‘a part of Shiva’. Avighna means ‘remover of obstacles’. 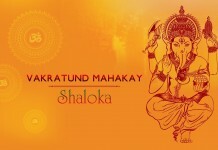 It is an uncommon name that is an ode to Lord Ganesha. Ambuja refers to the Goddess of wealth, Goddess Lakshmi. It also means ‘born of a lotus’. Do you wish your son overcomes all obstacles? Try naming him Durjaya, it means ‘difficult to conquer, unvanquished’ and also refers to Lord Shiva. An interesting name, Loukya is another name for Goddess Lakshmi and means ‘worldly-wise’- just what young girls today need to be! So you are looking for a name that is both unique and religious? Try Amritaya! It is a name for Lord Vishnu and means ‘the immortal’. If you are thinking of naming you daughter something traditional, go for Padma. It is a name for Goddess Lakshmi, the one who grants prosperity. Most people have no idea that Lord Vishnu has more than 100 names! One of them is Ameyatma, a great choice for your son. Padmakshya means ‘one with lotus like eyes’. It is a traditional sounding name and also refers to Goddess Lakshmi. Another beautiful choice for naming your beautiful baby! Pranshu means ‘tall’ and is also a name of Lord Vishnu. A name for Goddess Parvati, Ameya means ‘one who is beyond measure’. A name of Lord Hanuman, Mahadhyuta means ‘most radiant’. If you want a religious but not an old-fashioned name, go for Apraudha. It also means ‘One who never gets old’. If you are a devotee of Lord Hanuman, try naming your son Parijata. It is a beautiful name and also means ‘one who dwells under the Parijata Tree’. Looking for an uncommon name? Umika will be a great option for you. It is a name of Goddess Parvati and sounds exotic too! Another of Lord Hanuman’s multitude of names, Rudrveerya means ‘born of Shiva’. Another beautiful name for your little girl! Vallari means ‘creeper’ and also refers to Goddess Durga. Mahatejase means ‘most radiant’ and is an ode to Lord Hanuman. Gayathri or Gayatri is a common Indian name and means ‘Goddess of the Vedas’. It is also a name of Goddess Saraswati. Akhurath means ‘one who has a mouse as his charioteer’. It is also a name for Lord Ganesha. A perfect name for people who like to keep things simple! Ira means ‘Earth or muse’. It is also a name of Goddess Saraswati. Alampata means ‘ever eternal Lord’ and refers to Lord Ganesha. A beautiful name for Saraswati, the Goddess of learning! It is the perfect choice for parents who want a modern name that has a traditional meaning. Ekaakshara means ‘he of the single syllable’. The name also means Lord Ganesha. If knowledge is what you want your daughter to aspire for, name her Pavaki. It refers to Saraswati, the Goddess of knowledge according to Hindu mythology. Gunina refers to Lord Ganesha and means ‘Lord of all virtues’. It has a nice sound to it and has a traditional meaning – just what Indian parents look for in a name! 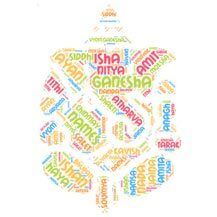 Prajna is another great option for parents looking for traditional names. It is another name for Goddess Saraswati. Heramba means ‘mother’s beloved son’. The name refers to Lord Ganesha. Vani means ‘speech’. It is a very common Indian name and also refers to Goddess Saraswati. Are you artistically inclined? Then this name will appeal to you. Kaveesha means ‘Lord of poets or Lord Ganesha’. Vaishnavi means ‘worshipper of Lord Vishnu’. It is a traditional name that also refers to Goddess Saraswati. If a short and simple name is what you are looking for, try Krti! It means ‘Lord of music’ and refers to Lord Ganesha. Another name for Goddess Saraswati, Vanmayi is a traditional sounding name. Perfect if you want your daughter to stay connected with her roots. The moment you saw your little one, you lost your heart! Manomay will be a great name for your son. It means ‘winner of hearts’ and also refers to Lord Ganesha. A very modern sounding name but with a traditional meaning! Aarya means ‘Durga’, the Goddess of strength. Sarvatman is another name for the elephant God, Lord Ganesha. It also means ‘the protector of the universe’. The name spells strength and faith. Aeindri is a great bet for families looking for something different for their babies. The name means ‘power of Lord Indra’ and is also a name for Goddess Durga. Shubhan means ‘all-auspicious Lord’. It refers to Lord Ganesha, the remover of obstacles! It is a great name that you should consider. If you are not looking to experiment and want to use a tried and tested name, go for Aparna. It is another name for Goddess Parvati. Another common name, Swaroop means ‘lover of beauty’ and also means Lord Ganesha. Your daughter is the epitome of your hopes and dreams for the future. Bhaavya means ‘one who represents future’ and is also a name of Goddess Durga. Your love for your son is timeless! Tarun, a traditional name, will be a good fit for your family. It means ‘ageless’. The name also refers to Lord Ganesha. Your baby means the world to you. Give her a name that represents this infinite emotion. Bhavaprita means ‘one who is loved by the universe’. It is also a name for Goddess Durga. Another name for Lord Ganesha, Uddanda also means ‘nemesis of evils and vices’. A very Indian name, Braahmi means ‘Goddess Durga’. It is a great name for families looking to stick to tradition. The name means ‘beloved and ever popular Lord’ and refers to Lord Ganesha. The popular name has not lost its appeal! Jaya is another name for Goddess Durga. Aditya is a beautiful name with an even more beautiful meaning! It refers to Lord Krishna. Another traditional name, Kaishori refers to Goddess Parvati. Lord Krishna is a beautiful character from the Mahabharata. He is an avatar of Lord Vishnu. Ajaya means ‘undefeated’ and refers to Krishna. Manah means ‘mind’ and is also a name of Goddess Durga. It is a trendy name with a traditional meaning. Another beautiful name for you to consider! Anaadih means ‘one who is the first cause’ and refers to Lord Krishna. Vaarahi means ‘one who rides a vaarah’. It is an uncommon name and also means Goddess Durga. Lord Krishna holds a special place in Hindu mythology. He is brave yet sensitive. He is the perfect specimen of how a man should be! Aparajeet is another name of Krishna and means ‘the Lord who invincible’. If traditional names attract you, opt for Savitri. It is another name for Goddess Durga. Another name for Lord Krishna, Jayantah means ‘conqueror of all enemies’. Anwita refers to the all-powerful Mother Goddess. The name is meaningful and sounds trendy too. Sometimes, a name is the only thing that connects us to our culture. Sahasrajit is one such name. It means ‘one who vanquishes thousands or Krishna’. Mythological names have such beautiful stories to tell! So when you name your daughter Deveshi, you are not just naming her after Goddess Durga but also gifting a story of a lifetime! You may wish that your son excels in all the fields. Name him Shreshtha, which is a name that describes Lord Krishna and means ‘the best’. Girija means ‘daughter of a mountain’ and refers to Goddess Parvati. For many, Krishna is the supreme God. Suresham means ‘the Lord of all the demigods’ and also means Krishna. Looking for a short name for your little one? How about Ekaa? It is one of Goddess Durga’s more modern sounding names. Trivikrama means ‘Conqueror of the three worlds’. It is another name of the ever-loving avatar of Vishnu, Lord Krishna. There are some names that reflect the beauty of nature. Niranjana is one of them. It means ‘the night of the full moon’. The name also refers to Goddess Durga. Shiva, the destroyer! He is fearless and ruthless. But he is also full of love! Ashutosh is a name that refers to Shiva and also means ‘One who fulfills wishes instantly’. A name that is stylish and meaningful, Shaila is a great choice for today’s generation. It means ‘Goddess Parvati’. Of all the Gods in Hindu mythology, Shiva has some of the best names! Take Aja, for example! It is a simple name with a profound meaning. Aja means ‘one who is self-existent’. A delicate name for your little princess! Saumyaa signifies the magnificence of Goddess Durga. Anagha means ‘sinless’. Who else but Shiva is the sinless one? It is a fascinating name, which should interest you. Parvati encapsulates all that we want in a woman – she is feminine, yet strong. Sharika is a great name that reflects all that’s good about Parvati. If there is one God who knows how to live a life full of joy, it is Shiva. The name Augadh reflects Shiva’s love for joy and happiness. It means ‘one who experiences eternal bliss’. A name can help your baby stand out in a crowd. It can help chisel her character and personality. Name your daughter Shatakshi and let Goddess Durga be her inspiration! Watching Shiva vanquish his enemies will surely be terrifying. Bhairav means ‘Lord of terror or Shiva’. Shivapriya is an orthodox but beautiful name. It means ‘beloved of Lord Shiva’ and refers to Goddess Durga. Jatin symbolizes ‘one who has matted hair’ and means Shiva. It is one of the most common Hindu god names for baby boy. When looking for a name, its meaning holds special consideration, especially for Hindus. That is why Shulini is a good choice. It refers to Goddess Parvati. Pranava means ‘originator of the syllable OM’. It is also a name of Lord Shiva. A name that sounds stylish but is traditional! Shyla is another name for Goddess Durga. A name that reflects the ruthless nature of Shiva, Rudra is a masculine name that is powerful and just. Even if you are not religious, you cannot deny the symbolic greatness of Durga. That is a name that reflects Durga’s significance in Indian culture will be apt for your daughter. Try Siddhama, another name of Goddess Durga. With Shiva in his name, your son will surely have big shoes to fill! Sadashiva means ‘eternal God or Shiva’. Sinhayana means ‘one who rides the lion’ and is also an ode to Goddess Durga. Shiva is the ultimate God for many Hindus. If you too believe the same, the name Sarvayoni will be a good choice for you. It means ‘source of everything or Lord Shiva’. Srirudra refers to Durga, Shiva’s wife. It is a conventional name with a beautiful meaning. Legend has it that Shiva swallowed a poison to save mankind. The name Shrikantha means ‘one with a blue throat or Shiva’. Surasa is one of the beautiful Hindu goddess names for baby girl that you can consider. Surasa is also a name of Goddess Parvati. Sukhada means ‘One who gives happiness’. It also means Lord Shiva. Another name for Goddess Durga! If you want a name that is Indian yet not too traditional, Sureshi should work for you. With Shiva as your inspiration, name you child Sureshwara. It means ‘Lord of all Gods’. Parvati is the feminine part of Shiva. Swayambhu is one of Shiva’s names and it also means ‘self-manifested’. Sutada means ‘one who grants children’. It refers to Goddess Durga. It does not get more traditional than this! Umapati means ‘consort of Uma’ and refers to Lord Shiva. Varada is a name for Goddess Lakshmi and means ‘one who grants boons’. It is a great name, even if you are not particularly religious. The Vedas are the ultimate source of wisdom for Hindus. Vedakarta means ‘originator of Vedas’ and signifies Lord Shiva. Today, a name is judged not just by its meaning but also by its sound. Tanisi is a trendy sounding name. But it is just another name of Goddess Durga. Lord Vishnu preserves the universe. Ajitesh is a name for Lord Vishnu. Another of Goddess Durga’s amazing names, Tarita is a good choice for modern families. A name that is fast becoming popular in India, Akshaj also means ‘Lord Vishnu’. Toshani may sound exotic and a little foreign, but it is a very Hindu name. It means ‘Goddess Durga’. Akshobhya refers to Lord Vishnu and is a good choice if you are looking for a Sanskrit name. A name that is both classy and religious, Trariti is the perfect name for your baby! It also means Goddess Parvati. Amritaya means ‘the immortal’. It is a lyrical name that refers to Lord Vishnu. A pretty name with an interesting meaning, Triguna may be the name you want for your baby! It means ‘illusion or Maya’. It is also a name of Goddess Durga. Anantajeet means ‘the victor of infinity or Lord Vishnu. Another wonderful name for Goddess Durga! Does it appeal to you? Bhudhav refers to Lord Vishnu. It may sound a little rustic to some people, but the name does have its charm! Looking for a unique name? Look no further! Vamika is not just a unique choice, but it also has a beautiful meaning! Derived from Durga, the name is a winner in our books. Bhuvanesh means ‘the Lord of the world’ and is another name for Lord Vishnu. Another pretty name from the Hindu mythology! Varalika also means Goddess Durga. Many people consider Indian names to be too complicated. But that is not the truth at all! Take a look at this simple and beautiful name. Eha is the name of Lord Vishnu. The name Varuni has a poetic feel to it. It means ‘a Goddess’, in particular, Goddess Durga! Looking for a unique name? Try Evyavan. It means Lord Vishnu. Another name which means Durga! Vetali is one of the cute Hindu goddess baby names. Another short name for you to consider! Ijay means the power of Lord Vishnu. Vidya means ‘learning’. It is a common Indian name and is a name for Lakshmi, the Goddess of learning. Jaithra is also a name for Lord Vishnu. If you don’t mind a name, which is a little unique, go for this special name. Traditional names may have lost their appeal for the generation of today, but they are still worth a try! Vindhyavasini means ‘resident of the Vindhyas’ and refers to Goddess Durga. Another traditional name, Jayapal means ‘king’. It is also a name for Lord Brahma. Does your baby have the traditional Indian eyes? Name her Vishalakshi, which means ‘large eyes’. It also means Goddess Parvati. Here’s a name that you can use both for girls and boys. It is a name of Lord Vishnu. Durga has a number of names, all of which can make amazing baby names! Try Wamika, it sounds pretty and trendy. Another name for Lord Vishnu, Kamalakar may not be topping the list, but it is worth consideration. Not a very popular name by any measure, but you can still give it a try. Yadavi is also a name of Goddess Durga. Keshav is always ‘trending’ in India! It is Hindu god name for baby boy, it is one of the names of Lord Vishnu, the preserver. Yogeshwari too is a rustic name and refers to Goddess Durga. Lohitaksh means ‘Lord Vishnu’. You can think of using this name if you want something classic and traditional. Aditi may be a popular feminine name. It refers to Goddess Lakshmi and means ‘mother of Gods’. Lord Vishnu is the miracle maker! Your son is nothing less than a miracle for you. Name him Madhuban, after Lord Vishnu. Aditri means ‘highest honor’ as well as Goddess Lakshmi. It is a unique name for your little angel. Mantram means ‘a holy name’. It is the perfect name for your son if you are looking for a religious name. It also means Lord Vishnu. A beautiful and unique name, Aparaa means ‘The Goddess Who is Outside There (Turiya State)’. It refers to Goddess Lakshmi. Another name for Vishnu, Mahakram sounds masculine and strong. Your daughter is lucky to have you as a mother. Name her Bhagyashree, which means ‘Goddess Lakshmi’. Mukund is a popular name and refers to Lord Vishnu. Sometimes, the best things may look old on paper but still worth digging out. Bharati is a name for Goddess Saraswati. An uncommon and beautiful name, Namish is one of Vishnu’s many names. Here’s a name that packs a punch! Bhargavi means ‘daughter of the sun’. It is also a name for Goddess Parvati, Lakshmi, and Saraswati! Narottam means ‘best among men’. Another name of Lord Vishnu, this name is a good choice for traditional families. Bhaskari means ‘the sun’. It is the feminine form of the Sun God! Nityanta refers to Lord Vishnu. It is not a particularly popular name, so grab it before it becomes commonplace! Bhavani refers to Goddess Parvati. It is a classic name with many takers. Padmakar means ‘Lord Vishnu’. It is a name that is very popular, especially in rural India. It is a unique name for sure! Bilvanilaya means ‘one who resides under the Bilva tree’ and refers to Goddess Lakshmi. Another name for Lord Vishnu, Padmanabh means ‘One with lotus in his navel’. Chakrikaa means ‘the Goddess who has the divine wheel’. It also means Goddess Lakshmi. Vishnu and his numerous avatars are the protectors of this world. One of Vishnu’s names is Padmapati. Chandrarupa is a name of Goddess Lakshmi. It also means ‘one who looks like the moon’. Padmesh means Lord Vishnu. It is a nice name that deserves a second thought. Deepa means ‘a lamp’. It also refers to Goddess Lakshmi. Parmesh is a name for Lord Vishnu. It is a popular name among Hindu families living all over the world. Deepta means ‘enlightening’. It is also a name for Goddess Lakshmi. Pitambar means ‘one who wears yellow robes’. It is also a name for Lord Vishnu. It is a sweet, simple, and beautiful name for Goddess Lakshmi. It is perfect for your baby! Another name that means Lord Vishnu, Pramodan is an interesting choice for naming your baby. Deetya means ‘Goddess Lakshmi’. Your baby will bring good luck and prosperity for your family. Ramakant means ‘Lord Vishnu in is Rama avatar’. It is a traditional name for traditional families. Looking for a name that is traditional yet trendy? Go for Gauri. It means ‘the fair one’ and refers to Goddess Parvati. An evergreen choice! It is also a name of Lord Vishnu! Haripriya means ‘beloved of Lord Vishnu’. It is a name for Goddess Lakshmi. Sahishnu is another name for Lord Vishnu. It is uncommon and beautiful – perfect for your son. A common name with an uncommon spelling! The name refers to Goddess Lakshmi and is very feminine. Looking for a royal name? Try Samarendra. It is perfect for your little prince and means ‘Lord Vishnu’. Another name of Goddess Lakshmi, Indusheetala also means ‘cool like the moon’. A unique name just what you wanted! Samavart means ‘Lord Vishnu’ too. Goddess Lakshmi lives under water with her husband, Lord Vishnu. Jaladhija refers to Lakshmi’s watery abode. A name popular in the Eastern parts of India, Samendu is ready to see the light of the day in the rest of India too. It also means ‘Lord Vishnu’. Satindra means ‘Lord of truth or Lord Vishnu’. A beautiful name, Kamakshi means ‘one with loving eyes’. It refers to Goddess Parvati. A short name that packs a punch, Savya is a name for Lord Vishnu. Kamalika means ‘Goddess Lakshmi’. Made popular by a television actress, the name is in vogue today. Vishnu is the preserver, a part of the holy trinity. Satkartar refers to Lord Vishnu and will be a great fit for modern families. The name means ‘the Goddess who is a quarter of the world’. It also refers to Goddess Durga. Looking for a name that can help your son carve his niche in the world? Shankhin is the name for you! It is also a name for Lord Vishnu. Yes, Lola is a genuine Hindu name! The trendy name refers to Goddess Lakshmi. Lord Vishnu is omnipresent and omnipotent. Gift your son a name that is both unique and meaningful. Go for Shrihan, another name of Lord Vishnu.